We all know that location, location, location is a big part of real estate success, but you’ll find that timing comes into the mix fairly regularly, too. Generally, it’s thought that late spring/early summer is the best time to put your home on the market. And certainly, for many parts of Canada, the thought of heading out into a blizzard or onto frozen roads is more than many can handle. But there is something to be said about getting your place listed before the competition gets out of hibernation, such as it is on the balmy West Coast. So, when you’re thinking of listing in the Comox Valley, you may want to consider a few more factors than just the weather outside and talk to your experienced realtor to get the inside scoop on when to list. Mortgage rates and economic trends: This one isn’t a huge determinant unless there has been a significant stock market or economic disruption. Truthfully, month to month, housing prices don’t tend to vary significantly, that is more a trend that happens over the long term. Yes, an indication that changes in mortgage rates may spark a light under some, but most people don’t list it as a make-or-breaker. Market supply and demand: Again, generally, this is another longer-term trend, but it’s good to keep an eye on it. Your realtor can keep you apprised of whether it’s a buyer’s or seller’s market and suggest price and listing advice accordingly. That being said, it’s likely better to get your home listed before the competition gets too stiff, so listing in January and February may be a good strategy. The dead grass factor: Obviously, it’s much easier to create some curb appeal when the lawn isn’t soggy and the trees have some leaves, but when your yard is looking great, so is everyone else’s. After all, we are still comparing apples to apples, no matter the time of year. Buyers’ attitude: Even though interest in homes does increase in the spring and summer, those looking in the earlier part of the year are often ready to make a change and make it now! If you are looking for a focused and committed buyer, the ones you see in the early part of the year often fit the bill. Location, location, location: Depending on where you live, selling times can fluctuate . . . or not. For example, cities known for their retirement populations don’t see as much end-of-school activity as other areas. And sunnier climates face less variation in selling times. For us in the Valley, our relatively temperate weather and year-round recreation opportunities mean we aren’t impacted as much by climate trends as other areas of the province and the country. Is now the time to list your home in the Comox Valley? Even though the indications are that the Valley is heading into a more balanced real estate market than we have seen for several years, I have been in and heard of multiple offers already this year! I personally have quite a few buyers ready to go and not enough homes coming on the market to give them a good choice. 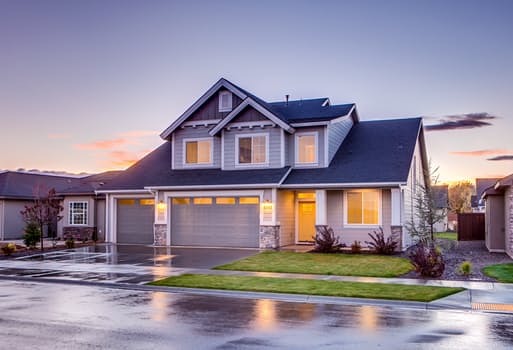 Although the spring market is the time of year when the highest number of sales occur in the Valley, it’s also the time that the majority of homes come on the market. I always feel it can be beneficial to list before the spring rush when the listings are not in abundance and the competition is less. Chances are, you can sell your home relatively quickly if priced at fair market value. I’m always happy to discuss any of the mentioned factors and local trends, so please feel free to get in touch if you have any questions about listing your home. For more information on this and other house-related topics, please get in touch. And don’t forget to visit my Facebook page to see the latest Comox Valley listings.